I love to wear hats year round, especially in the summer when I'm outside the most and need to guard against harmful UV rays. (No wrinkles for this healthy face!! Well, at least those caused by the sun). I love the leather detail on the black wide-brim hat. Both the black and cafe au lait colored wide-brim hats can be worn year round - so it's a great staple/investment piece. I love fedoras because they can be worn with almost any summer outfit. From summer dresses, to shorts and a tee, a fedora can make an outfit complete. Make sure to pick one with a little weight because sometimes strong winds, like at the beach, can blow your fedora right off. Snapbacks are great to throw on at the beach or when you're moving around a lot like at a music festival or block party. Super cute to wear with almost anything like a bathing suit, or jeans and a tank! Are you feelin any look? Hi beauts! Today's barefaced muse is fellow beauty blogger and inspiration, Marianna Hewitt. She snapped this barefaced selfie a couple days ago while in Thailand. Her skin looks absolutely amazing, and it is always refreshing to see beautiful women, look just as beautiful without makeup. She, too, believes in minimal make-up! On the right, she has her go-to summer glowy make-up going on, which I absolutely love. It looks natural and fresh. If you haven't check out Marianna's blog, La La Mer, definitely don't miss out! So if you can recall, I was looking for a phone case for my new iPhone5c. 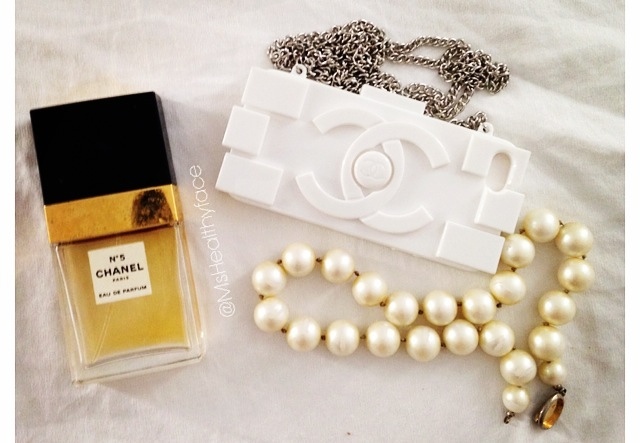 Well, I ended up purchasing a White Chanel Lego bag-inspired case from Velvet Caviar. They had a 20% discount promotion at the time, so it was the best deal out of all the other retailers. Isn't it dreamy?! I love how crisp the white is. I had a hard time debating between the other colors it came in (black, light pink, yellow, and hot pink), but I was super thrilled with the white. It's especially pretty because the case has a glossy finish. An additional nice feature about this case is the removable chain. The sad part of the story is that it doesn't fit my iPhone5c because it really is meant for a 5s. 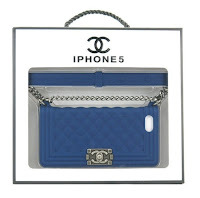 So, I contacted Velvet Caviar, and they so kindly shipped me this Navy Chanel Le Boy bag-inspired case. It's super cute! And the chain is so practical for this mommy of 2! (Although, hubby thinks it's quite annoying when I wear it around the house. That could actually be another plus lolz). 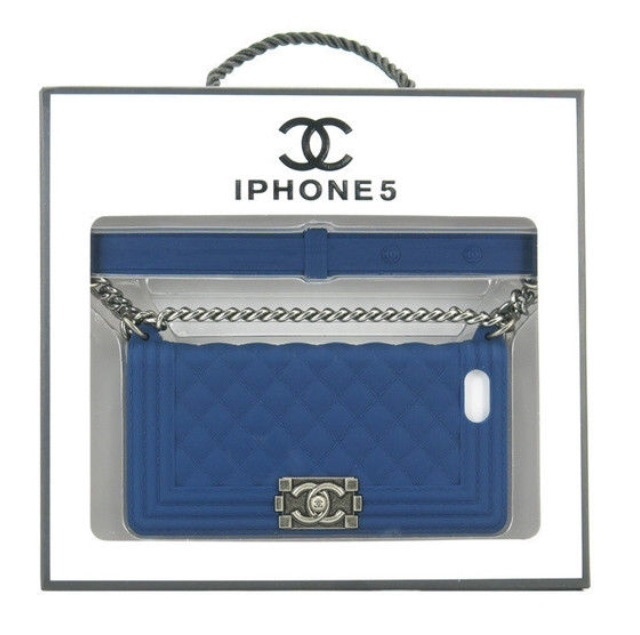 The minor disappointment about the Le Boy case is that you cannot remove this chain. I was impressed with Velvet Caviar shipping speed when I received my package within a week from ordering. Their customer service was also a delight to work with when my case didn't fit my phone. 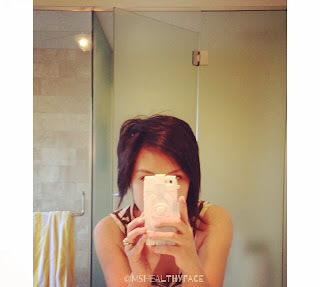 @MsHealthyface Reaches Over 600 on Instagram! Hyaluronic Acid: Fountain of Youth? Father's Day Gift Guide for Any Budget!